Art is an act of faith, and we practice practicing it. Sometimes we are called on pilgrimages on its behalf and, like many pilgrims, we doubt the call even as we answer it. But answer it we do. [Writing] is an act of faith, and we practice practicing it. Sometimes we are called on pilgrimages on its behalf and, like many pilgrims, we doubt the call even as we answer it. But answer it we do. the sense of pilgrimage that means (among many other things) that the journey is as important as the destination. There’s a lot more that could be said about writing as a spiritual journey, but for now I’ll focus on just three main themes. A friend of mine is a new author. We`ve actually never met in person, but I know Rob from Twitter, and we`re part of the same MennoNerds blogging collective. He wrote what I thought was a great series on his blog that he called The Caregiver’s Beatitudes, where he explored his experience of being a caregiver in light of Jesus’ beatitudes: blessed are the poor in spirit, blessed are those who mourn, blessed are the meek, and so on (Matthew 5:1-12). I read his Caregiver’s Beatitudes back in October, and the series has now just been published as a book by Energion Publications. That sounds like a very easy start to the journey, doesn’t it? Write in October and publish a book by July. It sounds like a would-be writer’s dream come true. But when I look more closely, I realize that this came after Rob had been blogging for NINE years. He had actually blogged his Caregiver’s Beatitudes the year before I read them, and what I read was actually a repeat of the series. 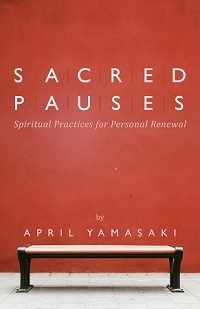 With my Sacred Pauses: Spiritual Practices for Personal Renewal, in some ways I feel as if I’ve been writing the book for most of my life. It contains stories and experiences from my childhood, youth, and as an adult. Compared to writing a novel like Danny or even memoir like Shirley, Sacred Pauses is perhaps a more obvious example of writing as a spiritual journey because of the content and focus on spiritual practice. As I share my own spiritual journey, I invite readers to come along with me. But even apart from the content, my experience with Sacred Pauses is an example of what Julia Cameron calls art–or writing–as an act of faith. I first suggested the idea that became Sacred Pauses in November 2010 in an email to Amy Gingerich, editorial director at Herald Press. I outlined my idea, the potential readership, and my working title at the time which was Time Out: A Daily Personal Retreat. Would this be of interest to Herald Press? I asked. For me it was a step of faith even to share my idea with an editor. I haven’t done much on the personal retreat book or any book for the last while—busy with church of course, but also I can feel myself waiting for a response from Amy. Today I officially lay that to rest and decide to forge ahead. . . . Beyond the value of writing for others, there is value in writing for myself. As Char said recently about speaking, how it forces her to reflect and articulate, so it is with writing—it helps me to reflect, articulate, think things out to be clear for myself. It shapes me. So if nothing else, writing this book will change my life whether or not it ever changes anyone else’s. In that time of waiting, I took a new step of faith to move ahead anyway. So I’ve lost the trail of thought, the momentum for the retreat book . . . . Today I begin again. Like faith that takes commitment and re-commitment, so writing as a spiritual journey also takes commitment and re-commitment. Gerry asked about my writing, and I tried to explain my 28-day-change-your-life-do-it-anywhere-personal-retreat book. No one responded enthusiastically, and it seemed not as interesting to me at that moment in the van as it has sometimes seemed in my own mind. But that has not discouraged me—I know that really anything can be interesting and publishable depending on how it’s written. And again perhaps I need to write it for myself so I can change my own life. 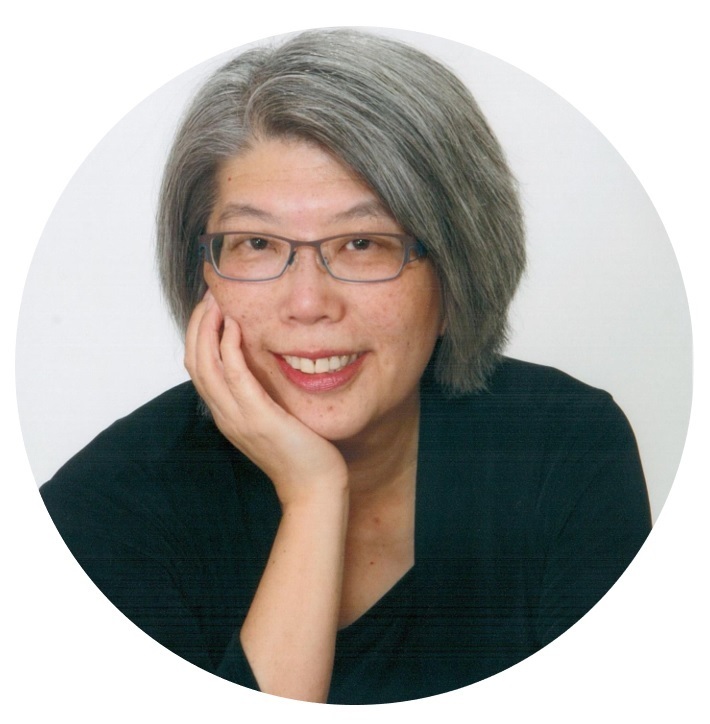 Again for me, even though I was intending to write for publication, writing was also a personal spiritual journey through silence, waiting, potential discouragement, growth and change, with commitment and re-commitment to keep on going. I’m pleased with the progress, with the way this writing acts as a counterpoint to my church ministry, and I have a new and promising title. Finally April 2011–just as I was deciding I might start looking for another potential publisher–FIVE months after my original query, Amy emailed: yes we’re interested, how is the manuscript coming along? And so a new phase of my writing journey began, with an editor and a publishing house as companions along the way. I should be doing something more productive. No one is interested in reading what I’m writing. So-and-so can say it better. So-and-so has said it better. I have no platform, I’m not sure what it is, and I don’t know how to get one. I don’t know anyone in publishing. The whole world of publishing is changing, with small presses disappearing and small, medium, and large publishing houses all in distress. What will my church think? There’s no money in it anyway. I’m busy with my school, work, spouse, children – how ever else you want to fill in the blank. I don’t want to get up early to write or stay up late, and I don’t have time in the middle of the day. I’m a perfectionist so everything I write has to be perfect. There are already more people writing than reading. There are already so many books that I should forget about writing and just keep reading. That’s just a quick stream-of-consciousness list of things that might distract or detour or roadblock my–or anyone’s–writing spirit. If you think about it, you and I could probably add to it quite easily. And if any of these things would stop you from writing, then by all means — there are plenty of other things that you can do instead. But perhaps such distractions, detours, and roadblocks are simply part of the journey. I wanted to be a writer ever since I was a child. When I was in grade three, I wrote about my dream of being a writer as part of a school assignment and illustrated my two paragraphs with a hand-drawing of my parents’ old manual typewriter. As a young adult, I felt that writing was part of my calling. It didn’t pay much, but I wrote freelance articles here and there, and supported myself with office jobs. At one point, when I was discouraged about my writing, I said to myself, “I’ll give you five years to work at this and see where it goes, and if it doesn’t go anywhere, then give it up.” Two years into those five years, I was still writing articles here and there, and outwardly not a lot had changed in my circumstances, but by then I knew that writing would continue to be part of my life. Whether it was writing for myself in my journal or writing for publication, I knew by then that I was in it for the long haul, whatever the distractions, detours, and roadblocks might be. Way stations are also part of writing as a spiritual journey. A way station is not a final destination. It`s a place along the way where travellers can stop for rest, supplies, and whatever else they need before they carry on. So when I’m writing in my journal, filling one blank book and starting a new one is not a destination. Completing a sermon or a blog post is not a destination. Publishing a book is not a destination. It’s not like I’ve arrived. These are way stations, with more to come–a publisher might say more promo and more social media, and that’s part of it, but for me it also means more writing. For me, writing is a journey, and I’m excited to reach another way station with the arrival of Ordinary Time with Jesus, a collection of lectionary-based sermons just released by CSS Publishing. I had actually brainstormed different titles on my blog with readers giving their input, and the Ordinary Time with Jesus title stood out as the clear choice. On the one hand, it’s a reference to the “ordinary” time of the church year which is the setting for these sermons and occurs just before the Advent and Christmas season. On the other, it’s a reference to the “ordinary” temptations and challenges of everyday life that are addressed in these sermons—how to deal with discouragement and worry, what it means to be successful, what it means to follow Jesus in daily life. 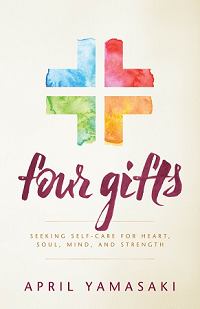 The journey for writing Ordinary Time began with an invitation from CSS Publishing, so this particular journey did not take the same kind of initial stepping out in faith that I had with Sacred Pauses. It was more of a work-a-day kind of faith as I wrote and re-wrote each sermon. Of the ten sermons, a few were written especially for the book, and I’ll quite likely re-work them for my own congregation at some point. But most are sermons I’ve actually preached before and then re-worked for the book. You might think that would make the book easier to write, but I found that was actually one of my roadblocks. A written sermon can be quite different from a spoken one. A sermon that’s written to resource other pastors that I don’t know is different from a sermon for my own congregation where we have a common history and a personal relationship. 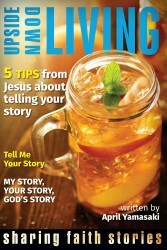 Working through all of that was also part of the spiritual journey of writing Ordinary Time with Jesus. Now that it’s actually in print, I think of this as a way station—a marker that I am one more leg onward in my writing journey, a time to rest and celebrate. On Facebook, one friend commented, “wow, you are prolific!” I guess she was thinking about how Sacred Pauses was published last year, and now Ordinary Time with Jesus is in print this year. But that’s not all! I’ve already started a new writing journey with a new project: a series of Bible studies for Mennonite Church Women USA and Canada that’s tentatively titled Artful Living: Women, Faith, and Creativity. I’m relying on that as I continue to write—for myself, for the church, for other readers. In the sense of writing as a spiritual journey, I would also add, the more I journey, the more the journey continues. What does writing as a spiritual journey mean to you? April, I identify strongly with this and feel certain other members of our Christian Poets & Writers group will too, so I’ll highlight the post on the Christian Poets & Writers blog – http://christianpoetsandwriters.blogspot.com. Thanks and blessings! Thanks, Mary, I appreciate that! I’m glad that we can encourage one another as poets and writers. Thank you… that is all… just… thank you. You’re so welcome – I’m celebrating The Caregiver’s Beatitudes with you! I’ve often said I write, because I live. It is the way I process my life, and since I’m a spiritual person/Christian, my writing is definitely a spiritual journey. Loved the back story on how long you had to wait on a response from the publisher. The time can be excruciating to a waiting would-be author. I know. While waiting can be hard, I find that it also allows time for ideas to percolate and for my direction and commitment to a certain project to be confirmed. In the end, the timing for Sacred Pauses worked out very well. I hope my story encourages others–having to wait for a response may not mean a lack of interest, and a time of waiting can be a time of creative energy and growth. Do you think Shirley and Danny would also “guest post” with the writing/”transcript” of their own talks, or at least a summary? And do you think you’d do something on the Q&A? I think that would be really interesting too. Both Shirley and Danny spoke mainly without notes, and there was so much said “in the moment” that evening that I’d be hard-pressed to do something on the Q&A. It was such a great discussion, and too bad we couldn’t capture it on video. I’m glad that you and others were able to be there in person. Thank you for your post. It helps– a lot. Especially, well, everything. Thanks for your affirmation – I have more that I’d like to share about writing as a spiritual journey, possibly as part of another author panel and/or here on my blog. In the meantime, I wish you well on your journey. Thanks for this, April, especially the narrative of waiting…. ah yes, the waiting…more and more I see how waiting is a part of writing, not just waiting for the response of a potential publisher, but waiting for an idea to become more fully formed, waiting for the right word or the right time. For me waiting is not entirely passive or the same as doing nothing — it’s waiting in expectation, and most often, while I might be waiting on one project, I’m engaged in doing something else. At some level though, it’s still waiting, and I’m learning to appreciate it. I can relate to the “journey” theme! There has been alot of waiting for me, too. I started writing up my grandmother’s life story in 2001 for a thesis project, finished writing in 2004, gave up on ever re-writing or looking at it again because I was so tired of working at it, found a publisher if I would make it more readable for an average audience, tried to re-write. That took till 2008 and finally in 2010 it was published as a book. That’s a 9 year process. It’s encouraging to hear that it all takes awhile!